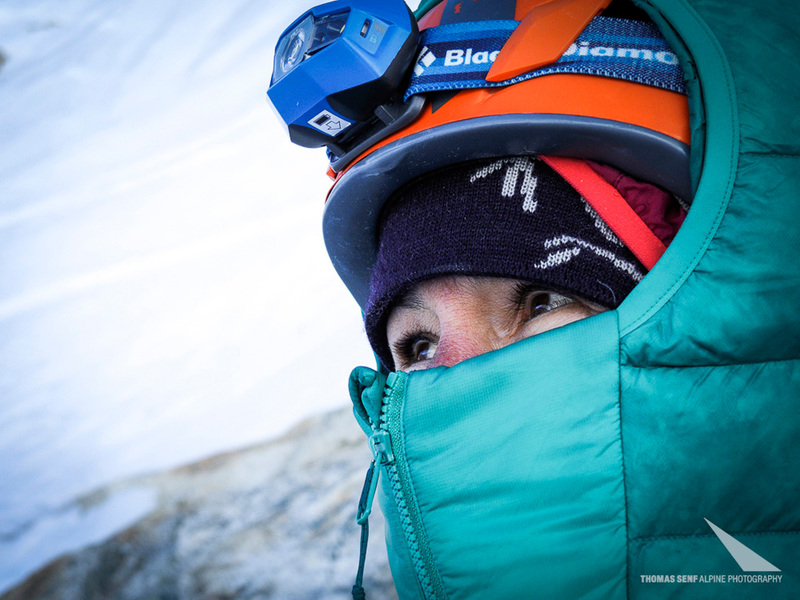 On November 13, 2013 German alpinist Ines Papert made the first ascent of the hitherto unclimbed Likhu Chuli I (6719m) in Nepal, also referred to as Pig Pherago Shar. 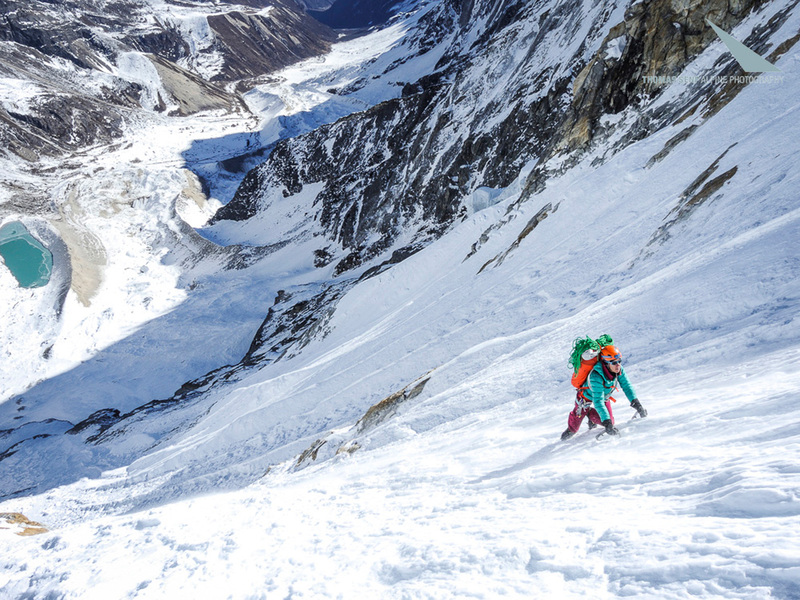 Her climbing partner Thomas Senf abandoned his attempt just 140m below the summit due to frostbite. In late October German alpinist Ines Papert, Swiss alpinist and photographer Thomas Senf and German cameraman Hans Hornberger travelled to Nepal's Khumbu Valley hoping to establish a new route up the North Face of Tengkangpoche (6487m), the difficult wall first climbed in spring 2008 by the Swiss duo Ueli Steck and Simon Anthamatten. However, due to a general lack of ice the chosen line of ascent wasn't in condition and all other possible routes seemed too dangerous due to the looming seracs above. 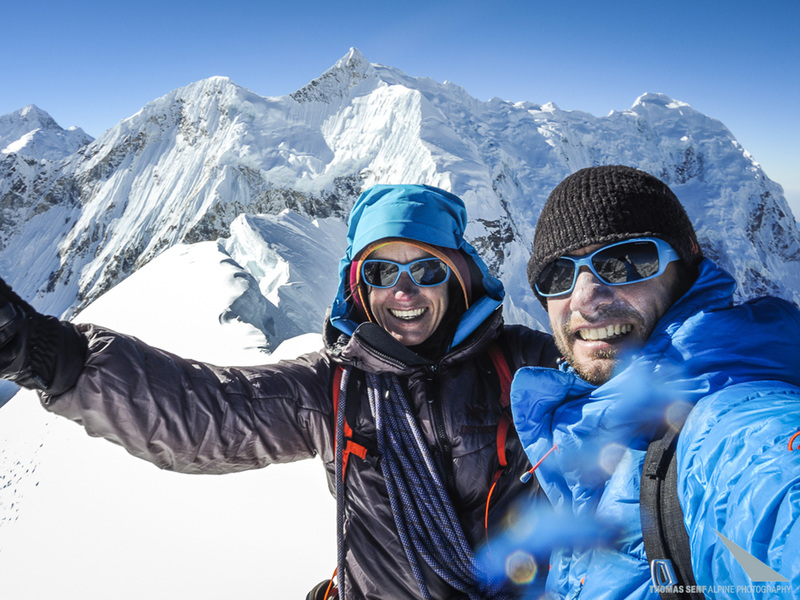 After a fast acclimatization trip to Pharchamo Peak (6178m) and a paraglide flight from a slightly lower altitude, Papert and Senf decided to attempt the north face of Likhu Chuli I. According to Mingma Sherpa, owner of the Pharchamo View Lodge located at the foot of Tengkangpoche, Likhu Chuli I had never been climbed before. 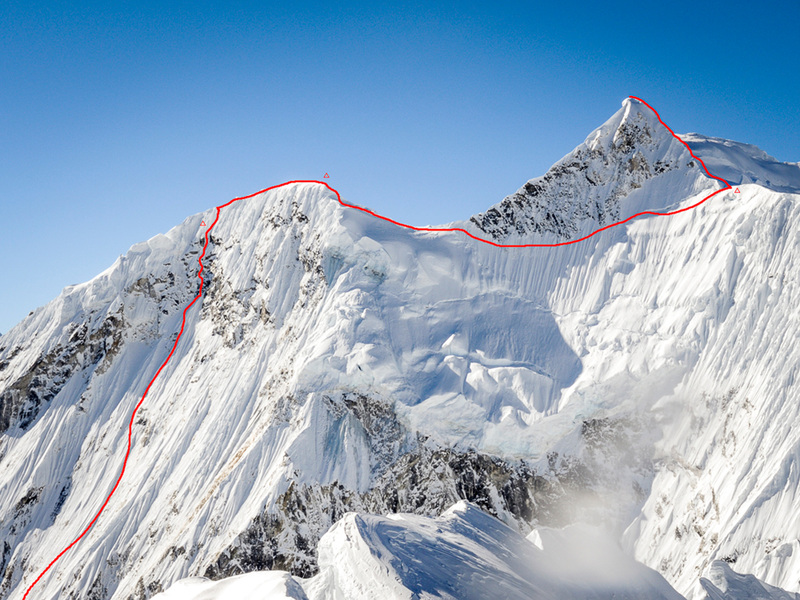 On 11 November Papert and Senf set off up the steep north face and, encountering excellent conditions, made rapid progress and managed to climb circa 1800m, half of which was un-roped. Exiting the north face proved extremely difficult due to the enormous summit cornice and fresh, waist-deep snow. 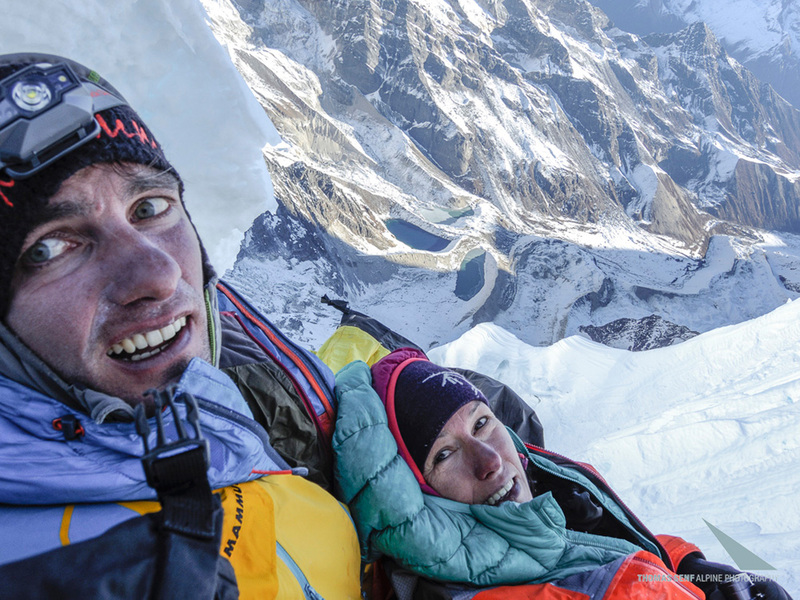 As darkness set in the duo were forced to bivy a few metres below the crest enduring a long, freezing night out in the open on a tiny, uncomfortable ledge high above the 70° slope. Having come this far the two alpinists certainly didn't want to even consider a retreat. The next morning, guided by Hans Hornberger who was documenting the climb from the base of the mountain, the two succeeded in breaching the cornice. Shortly afterwards they reached the Pig Pherago Shar pre-summit at 6660m. 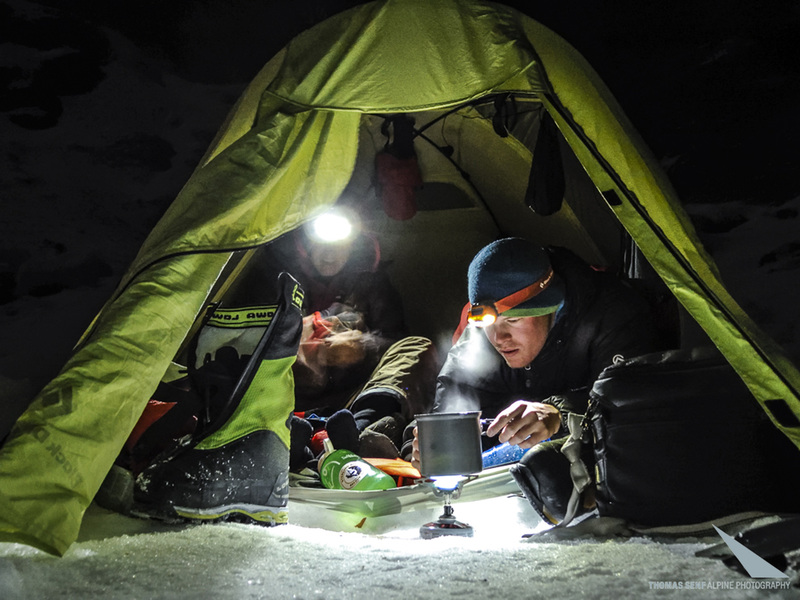 Papert and Senf found a place to pitch their tent and spend a second night on the mountain. The next morning they realized that the final section of the summit ridge was impossible due to the amount of snow and had to make a long traverse across the entire north face to reach the west ridge. Once again the intense cold, combined with strong winds forced them to pitch a tent and rest for a few hours. At this point Senf began to show first signs of frostbite and decided not to continue, despite the summit being within reach. Senf explained: "Had I continued my toes would have suffered severe frostbite. 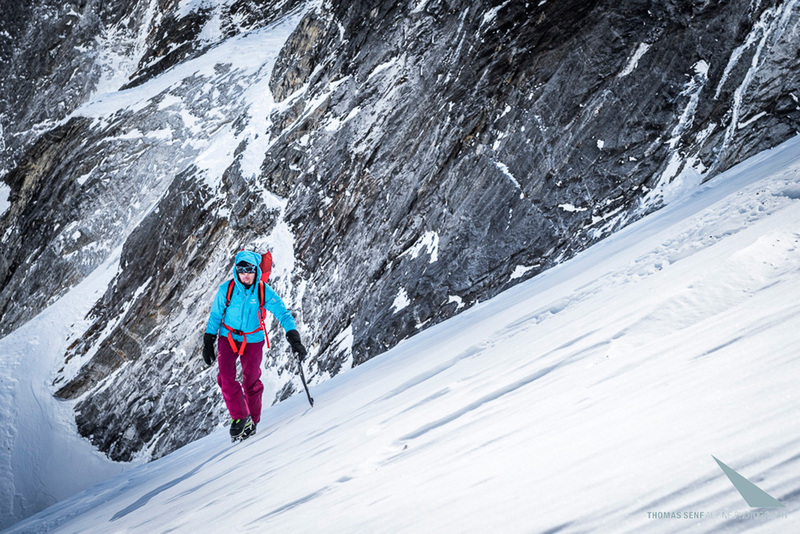 I was so pleased that Ines chose to continue to the summit alone. It would have been disappointing had she decided to abandon the attempt because of me." In spite of the strong winds Papert set off again at around noon and after having breached terrain up 70° she finally reached the summit at 14:00. "Being the first person to stand on top of a Himalayan summit is a tremendous moment," says Papert. "But, it wasn't accompanied by great joy. I had really wanted to share this moment with Thomas. And, the cold and altitude were beginning to take their toll." After a third bivy Papert and Senf descended along the west ridge and safely returned to their ABC on 11/14/2013 at 14:00. Both climbers showed signs of grade II frostbite. "I never thought that frostbite could be so insidious, that it could come almost without notice," said Papert "It was colder than ever before, throughout the entire expedition, and we took the first signs of frostbite very seriously indeed. Our fingers and toes will now take some time to heal completely." Papert's climb is now recognized officially as the first ascent of Likhu Chuli I thanks to careful research by Billi Bierling, colleague of famous Himalayan chronicler Elizabeth Hawley. In fact, until only recently it was believed that a French expedition led by Robert Sandoz had first summited this mountain on 21 October 1960, but thanks to new information and careful comparison of the two expedition reports it has been demonstrated clearly that the French team had actually summited Likhu Chuli II, located 2km from Likhu Chuli I.